The terms Data Mining (DM) and Knowledge Discovery in Databases (KDD) have been used interchangeably in practice. Strictly speaking, KDD is the umbrella of the mining process and DM is only a step in KDD. 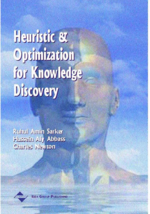 We will follow this distinction in this chapter and present a simple introduction to the Knowledge Discovery in Databases process from an optimization perspective.